Nina Jones has no problem keeping up with the Joneses. 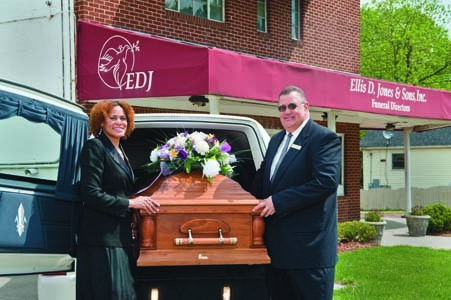 As manager of Ellis D. Jones & Sons Funeral Directors in Durham, North Carolina, she has a hand in just about everything related to the front and back office, from keeping track of the financial books to helping families plan funeral arrangements and related matters for their loved ones. Nina, who recently turned 36, works alongside Michael G. Jones Sr., the company’s president, and Nellie Taylor Jones, vice president. Michael and Nellie are also Nina’s parents. “My father used to meet with the families,â€ recalls Nina. “They would walk in, bypass me, and ask, ‘Where’s Mr. Jones?’ They weren’t looking to make arrangements with a 22-year-old young woman.â€ But that’s just who they got. Nina had originally planned to pursue a career in counseling. However, helping operate the business founded in 1935 by her great-grandfather, Nina says she’s grown to love her career and that she’s proud to preserve its legacy. She also feels that the company has the stamina to go further. 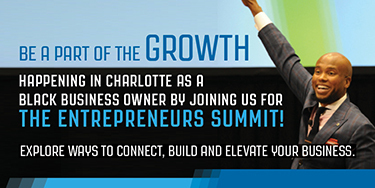 Ranging in size from traditional small businesses to a third of the top 500 companies in the nation, about 90% of all U.S. businesses are family-owned or -controlled, according to the Small Business Administration. For a young person currently at or planning to take the helm of a family-owned business, it is important to know that it takes much more than a transition of power to guarantee its success. To their credit, Jones & Sons and a few companies on the be 100s are anomalous. The SBA reports that less than one-third of family businesses survive the transition from first- to second-generation ownership. Of those that do, about half do not survive the transition from second- to third-generation ownership. “Less than 10% of family-owned businesses get to the third generation,â€ notes Michael, Nina’s father. “I was fortunate.â€ Michael grew up around his grandfather’s business and enjoyed it from the start. “As teenagers, my brother and I ran an ambulance service, picked up bodies, put up tents, and worked funerals,â€ the 62-year-old recalls. Of course, he also remembers the challenges. “There are always bumps in the road when you work with family,â€ he concedes, alluding to the disagreement he had with his father that led to his leaving Jones & Sons for 12 years.